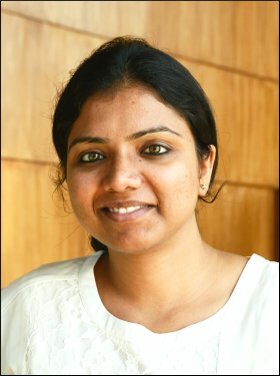 While the Goods & Services Tax is to be launched on the night of June 30, 2017, and different sectors of the Indian industry are concerned about how their business would be impacted, Neha Singh Yaduvanshi, Founder, Vastada Consulting, shared her insights on different aspects of the new tax regime. She added that SMEs and start-ups will benefit from the roll out of GST in a number of ways. Please tell us about GST? Neha Yaduvanshi: Goods & Services Tax is a comprehensive, multi-stage, destination-based tax that will be levied on every value addition. It is proposed to be levied at all stages right from manufacture up to final consumption with credit of taxes paid at previous stages available as setoff. In a nutshell, only value addition will be taxed and burden of tax is to be borne by the final consumer. This tax will be substitute for all indirect tax levied by state and central government. Exports and direct tax like income tax, corporate tax and capital gain tax will not be affected by GST. GST would apply to all goods other than crude petroleum, motor spirit, diesel, aviation turbine fuel and natural gas. Which of the existing taxes are proposed to be subsumed under GST? What kind of GST is going to be implemented in India? Neha Yaduvanshi: It would be a dual GST with the Centre and States simultaneously levying it on a common tax base. The GST to be levied by the Centre on intra-State supply of goods and / or services would be called the Central GST (CGST) and that to be levied by the States/ Union territory would be called the State GST (SGST)/ UTGST. Similarly, Integrated GST (IGST) will be levied and administered by Centre on every inter-state supply of goods and services. What is the requirement for dual GST in India? Neha Yaduvanshi: India is a federal country where both the Centre and the States have been assigned the powers to levy and collect taxes through appropriate legislation. Both the levels of Government have distinct responsibilities to perform according to the division of powers prescribed in the Constitution for which they need to raise resources. A dual GST will therefore keep with the Constitutional requirement of fiscal federalism. Neha Yaduvanshi: How a particular transaction of goods and services would be taxed simultaneously under Central GST (CGST) and State GST (SGST)? Ans. The Central GST and the State GST would be levied simultaneously on every transaction of supply of goods and services except the exempted goods and services, goods which are outside the purview of GST and the transactions which are below the prescribed threshold limits. Further, both would be levied on the same price or value unlike State VAT which is levied on the value of the goods inclusive of CENVAT. While the location of the supplier and the recipient within the country is immaterial for the purpose of CGST, SGST would be chargeable only when the supplier and the recipient are both located within the State. What are the benefits which India will gain from GST? Neha Yaduvanshi: Introduction of GST would be a very significant step in the field of indirect tax reforms in India. By combining a large number of Central and State taxes into a single tax and allowing set-off of prior-stage taxes, it would reduce the ill effects of cascading and pave the way for a common national market. For the consumers, the biggest gain would be in terms of a reduction in the overall tax burden on goods, which is currently estimated at 25%-30%. Introduction of GST would also make our products competitive in the domestic and global markets. Studies show that this would instantly stimulate economic growth. There may also be revenue gain for the Centre and the States due to widening of the tax base, increase in trade volumes and improved tax compliance. This tax would also be easier to monitor and administer because of its transparent character. What will be the benefits of GST for SMEs & Start Ups? a. Ease of starting a new business: In current scenario, a business having operations across different state needs VAT registration. Different tax rules in different states only add to the complications and incur a high procedural fees. GST enables a centralized registration that will make starting a business easier and resulting in expansion an added advantage for SMEs. b. Reduction of tax burden on new business: As per the current tax structure, businesses with a turnover of more than INR 5 lakh need to pay a VAT registration fee. The government set the exemption limit under GST to 25 lakh giving relief to over 60% of small dealers and traders. c. Improved logistics and faster delivery of services: Under the GST bill, no entry tax will be charged for goods manufactured or sold in any part of India. As a result, delivery of goods at interstate points will be increased. According to an estimate by CRISIL, the logistics cost for manufacturers of bulk goods will get reduced significantly by about 20%. d. Elimination of distinction between goods and services: GST ensures that there is no ambiguity between goods and services. This will simplify various legal process in related to the packaged products. As a result, there will no longer be a distinction between the material and the service component, which will greatly reduce tax evasion. How E-Commerce sector will get benefit from GST? Neha Yaduvanshi: E-Commerce sector will get transparency and faster delivery with GST. GST is good for the e-commerce industry as it would eliminate problems in inter-state delivery and subsume the entry tax introduced on e-commerce shipments by some states. Moreover, sourcing, distribution and warehousing strategies that are currently designed by companies from the perspective of how tax liability can be minimised will also change. Companies can now device these strategies based on what is actually in their best interest, since they no longer need to have a warehouse in every state as a means to minimize their tax liability. This will boost E-commerce business in India. All these consultants -we do not know whether they are paid by government to say GST is very good for business. At last to start with there is price increase everywhere for the consumers other than toothpaste kind of thing . We will have to wait and see what is the long-term impact of this. I agree with you.... But you think about extra burden for submitting 43 forms( on line )per year. For SMEs this will incur extra burden and tension.... Govt has not done home work properly...because we see .. so many changes and bulletin from last month. Still no body has full Knowledge regarding invoice preparation.....HSN code of the finaÃÂº commodity.... Book keeping of 1April to 30th June.... and from July 1 to onwards... ????... no authority has the idea.... There are the chances for tax consultants to do mistake due to heavy work load.... For very small Business ( below 25 lakh..)the idea of GST will not suitable from any angle... Govt has to reconsider all factors before amendment. Good, it is informative and easy for a common man to understand about the GST being rolled out. Keep it up with sustained momentum for you to attain name and fame leading to progress and prosperity of your consultation. Please let me know whether any letter of authority is required for a Proprietary firm to get GST. Regards, Rajesh.